Why AllianceTek for System Integration Services? AllianceTek has more than a decade of experience in providing high-end system integration services. Our application integration & enterprise integration solutions are highly scalable, secure and reliable. AllianceTek’s technology consultants will study your existing system and leverage their expertise to implement the right cloud integration services that fits your business needs. AllianceTek provides seamless ERP integration services and implements advanced, high-performance technologies for your system and data integration. We have skilled experts on multiple technologies, which makes us a one-stop shop for providing B2B application integration services. We have adequate expertise on integrating applications running on various platforms including Windows, LAMP, cloud, mobile, third party software, and middle tiers. We provide integration solutions with our service layers and implement advanced technologies for ERP integration. Based on this we can provide you with comprehensive BI and dashboards. Our advanced tools can equip you with Business Intelligence (BI) reports that will empower you to make the best decisions and strengthen your business. 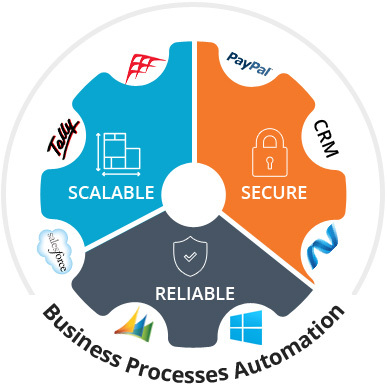 AllianceTek’s systems integration solutions can also automate your business processes and extend your existing system’s capabilities. Call us at 484-892-5713 today. Our experienced IT professionals are ready to provide you with the roadmap to success through cloud integration, geared to your specific business. We can help you leverage information for improved decision-making, and enhance your system’s capabilities and performance with scalable architecture, enhanced security and intuitive processes.